Daily Illuminator: Ogre Competition Winners at Leicester! 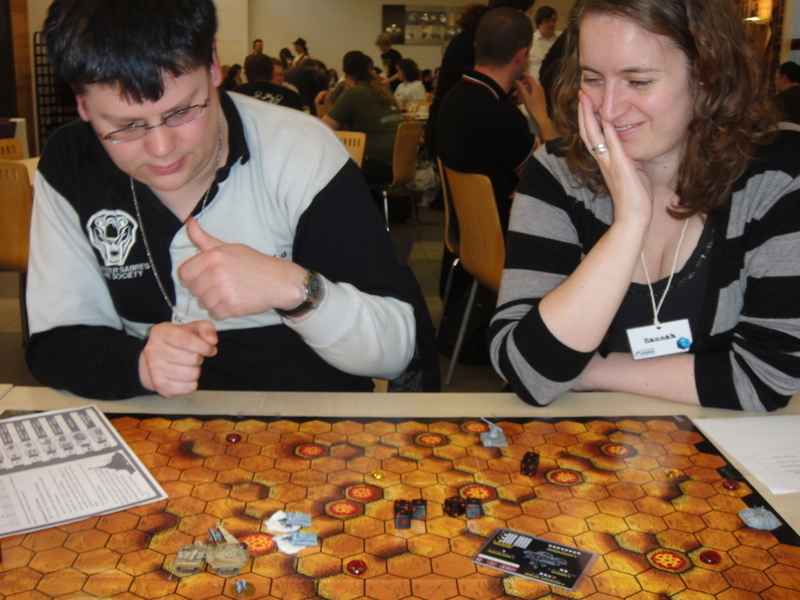 August 21, 2012: Ogre Competition Winners at Leicester! I had a huge blast running Ogre events at Continuum in Leicester, UK in late July. It was my first time demoing, as well as my first visit to a UK con in several years, so I was quite nervous before arriving! I had stayed up the night before putting the final coat of varnish on my demo set of Ogre miniatures. Keary Birch, one of the organizers, quickly gave me a warm welcome and put me at ease. He directed me to a demo table next to the very nice folks from 6d6 RPG (check out their innovative card-driven system). Keary also personally kicked off the proceedings with an assault on the Command Post by my newly painted Mark III Ogre, "Rommel." From then on the action was fast and furious as a steady stream of folks dropped by to learn (or in many cases, relearn) Ogre in the demo. Many folks went on from the demo to enter the challenge competition: defend the Command Post against a rampaging Ogre, for a competition high score. Chris Killey, who had never played Ogre before, tried the demo, said, "This is a really good game!" and ended up coming back several times to perfect his defense of the CP. He earned top marks on day one, winning a set of Munchkin Impossible with his "two-Howitzer defense" strategy. On day two, Daniel Taylor also took two Howitzers, purposely channeling the Ogre up a tempting gap on the eastern flank. He took the day's top prize -- a set of Revolution. Ashley Cox and Jake Talbot each won second prizes, and a ton of folks received Munchkin promo items as participation gifts. I was particularly pleased that three out of four of the winners were under thirty -- the makings of a new generation of Ogre fans! Folks kept telling me, "I heard about that Ogre Designer's Edition Kickstarter!" and "I love this game. I had the micro edition when I was in school!" They were thrilled to hear that we're releasing the latter as Ogre Pocket Edition next summer -- at the original $2.95 price! 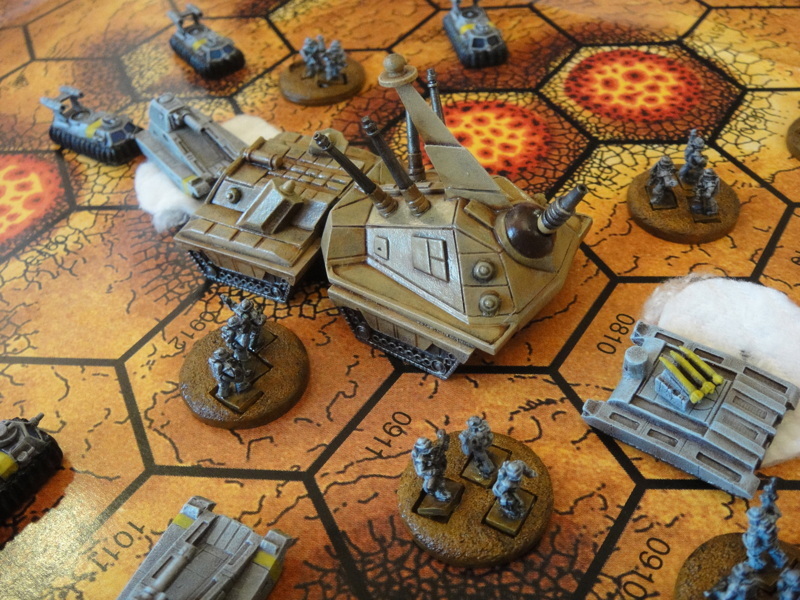 This was the first Ogre competition run by Steve Jackson Games since the Kickstarter relaunch, and hopefully a sign of great things to come for the future of our favorite cybernetic monster tank!